Muscat, 23 March 2019 – Al Mouj Muscat, Oman's leading lifestyle and leisure destination, is set to participate as a strategic partner at the second edition of Oman Real Estate Exhibition and Conference (OREX) 2019. 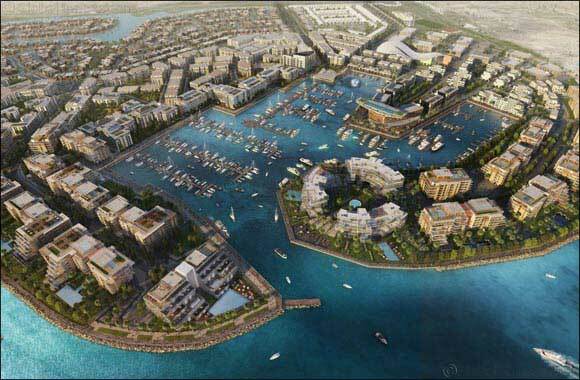 Oman's leading ITC will showcase its unique, freehold-title properties, commercial and retail projects within its luxurious world-class 2.5 million sqm development. As a leading project, Al Mouj offers different choices for the diverse customer market in Oman. Another option on display will be Juman Two, an assortment of luxury apartments at the edge of the Marina within the development, set to become Oman's most desirable address. The iconic apartments in Juman Two sit within Zen style gardens overlooking the Marina across the stunning infinity pool. Both developments also offer families access to world-class amenities at the destination including a stunning six kilometre stretch of Muscat's coastline, the 18-hole PGA Links golf course at Al Mouj Golf, the 400-birth Al Mouj Marina, luxury hotels such as Mysk Al Mouj Muscat and Kempinski Al Mouj Muscat, as well as The Walk with over 70 shopping and dining outlets and Muscat's first public square, Marsa Plaza. The event provides a platform to network, learn market and industry insights, technology trends, sustainability initiatives and focuses specifically on real estate finance and investment opportunities and developments within the Middle East and internationally that are influencing the region's key property markets.